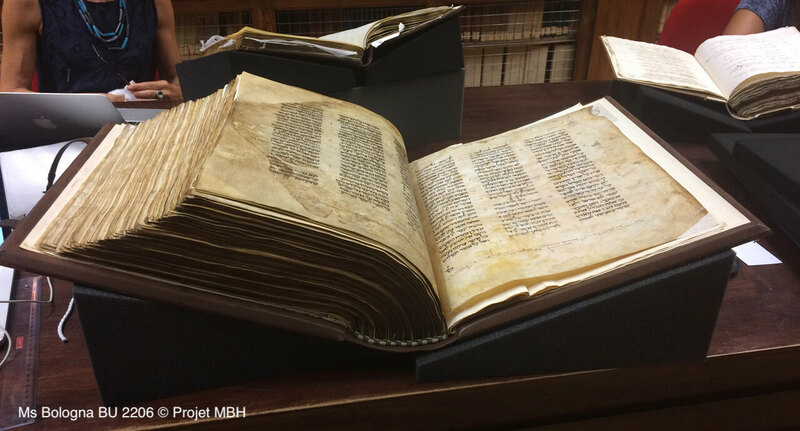 MBH is an ACHN ANR project which supports the systematic study of Hebrew biblical manuscripts produced in Western Europe before 1300, with a view to establishing their typology on the basis of their form and content. — Thanks to the growing number and digitisation of Hebrew manuscripts on the net, as well as the existence of several databases devoted to Hebrew manuscripts in general (Sfardata, Books within Books), a systematic study specific to medieval Hebrew biblical manuscripts is now possible and indispensable. This research - which, paradoxically, has never been carried out on one of the most copied books of the Jewish Middle Ages - is crucial in terms of our understanding the phenomena related to the production of Western and Hebrew books as well as getting a better sense of the place occupied by the Hebrew Bible on the basis of its material forms and the types of biblical text used during the medieval period, including in Christian context. The variety of the biblical manuscripts is linked, for example, to their formats (atlas, pocket, intermediary), their state (complete/partial), the presence or absence of vocalisation, Masorah, commentaries, readers annotations, ornaments. For the purposes of analysis, a new interoperable tool which pulls together all the available data has been developed: the MBH database is an analytical descriptive type of database equipped with a multi-criteria research engine. 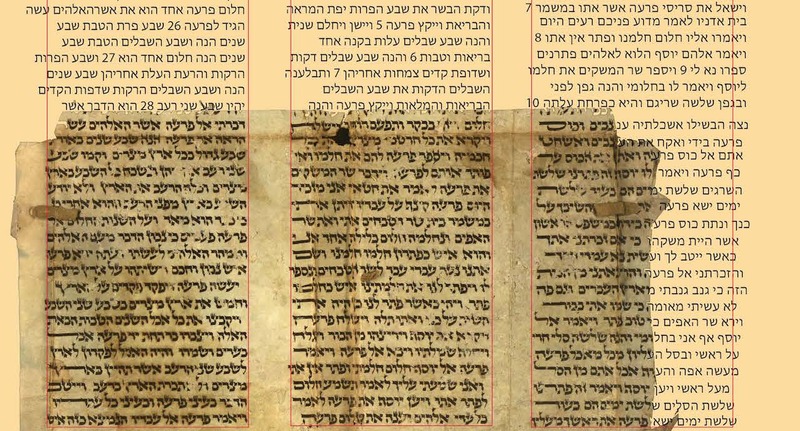 This tool should make it possible to run queries based on codicological and palaeographic criteria as well as on scribal, textual and historical features of mediaeval Hebrew biblical manuscripts. The project brings together and/or produces data on dated and undated manuscripts, codices and liturgical scrolls, whether complete, partial or fragmentary. A limited initial corpus of around one hundred biblical manuscripts produced before 1300 in the Ashkenazi Jewish world of England, northern France, Germany, and northern Italy has been selected as a test. 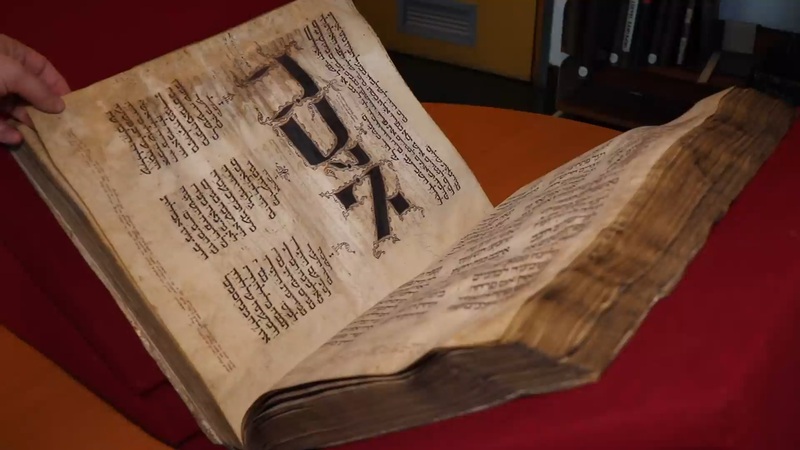 Besides giving access to the database devoted to Hebrew Bibles, the MBH portal will also provide various information, tools and experiments that have been carried out, in particular the 3D digitisation of manuscripts which enables a better material understanding of medieval manuscripts and fosters the study of the materialisation of the texts and their significance. There are as yet no precise statistics on the total number of Hebrew Bibles presently conserved. The MBH Project should improve our knowledge of the corpus. At the current state of research, of the 40,000 manuscripts known to be medieval, 3,200 are precisely dated, representing just under 10 % of the total (Sirat 1994, 10-11). There seem to be around 5,000 biblical manuscripts (Schlanger 2012, 21), the vast majority of which are undated. The MBH Project has so far identified 150 undated Bibles which were produced in Ashkenaz probably before 1300. Of the 1,435 fragments of undated mediaeval manuscripts published on the BwB database, 94 fragments of biblical codices and 2 scrolls are estimated to be Ashkenazic items dating from before 1300 (according to the data available as of 12 March 2018). Of the dated manuscripts identified on the Sfardata codicological database, less than forty Ashkenazic Bibles are dated before 1300. 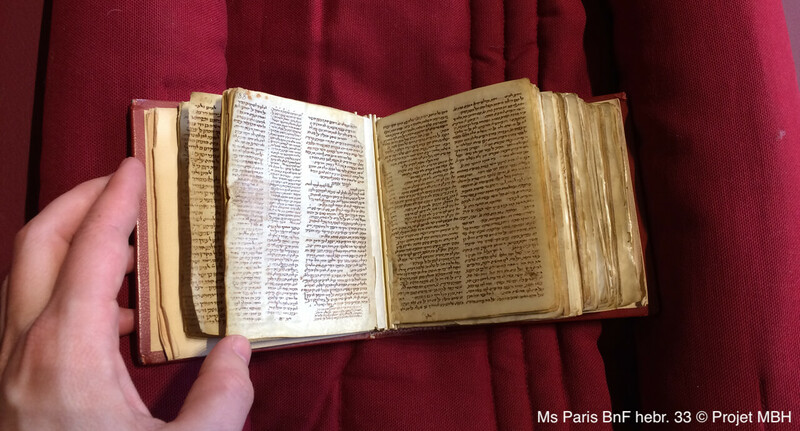 The MS Mode is a brief description of a manuscript as an entire object, generally found in catalogues. It is the main common approach of manuscripts. The PU Mode (Production Unit Mode) is a codicological description mode inspired by the publication of Patrick Andrist, Paul Canart, and Marilena Maniaci, La Syntaxe Du Codex, vol. 34, Bibliologia (Brepols Pub, 2013). This mode of description offers the possibility to describe the inner structure of the manuscripts, their material features as well as social and textual aspects. The MBH Database is a scientific database that will be soon interoperable with the Biblissima Portal. The MBH webportal offers, in collaboration with Viktor Golinets (HFJS, Heidelberg), bibliographical references on Hebrew biblical manuscripts first edited on the sembi.de website (see "Bibliography on the Bible / Hebrew Biblical Manuscripts"). The references are imported into the MBH Database via the Drupal Bibliography Module. They can be downloaded in RIS or BibText format which is compatible with the Zotero Bibliographical system.